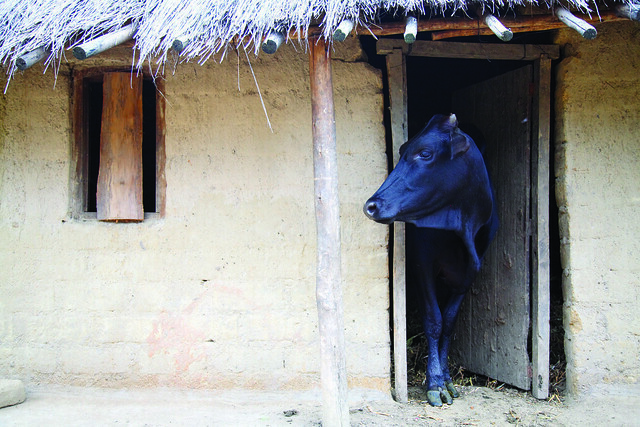 A dairy cow looks out from her stall in a village in central Malawi (Photo by ILRI / Mann). Agricultural experts argue that a 'breadbasket approach' to development without livestock is 'an unbalanced diet' and that capacity building from the halls of parliament to the milking shed is key to the success of highly competitive African agriculture. Over 800 agricultural experts, government officials, private sector leaders, and farmers gathered in Accra last week to promote investment and policy support for driving agricultural productivity and income growth for African farmers. Participants at the African Green Revolution Forum agreed to pool efforts and resources to scale up investments in the 'breadbasket' approach and in agricultural growth corridors. At the end of the three-day conference, the Forum issued a detailed plan of action to the delegates, which included the need to make better and wider use of 'mixed' crop-livestock farming systems. ILRI Director General Carlos Seré led a dynamic and informative panel session on livestock systems at the Forum, drawing participants from all facets of the agricultural community—from a Mozambican farmer interested in applying the 'best-bet' tactics of the East Africa Dairy Development Project in his own country, to 2009 World Food Prize Laureate Gebisa Ejeta. 'A "breadbasket" approach without livestock is an unbalanced diet,' said Moses Nyabila, Regional Director of East African Dairy Development Project, during the panel session. The panel participants called for mixed crop-livestock systems to be integrated into the corridor and breadbasket development strategies to increase the income of the smallholder farmer and improve his or her resilience to market fluctuations, climate change, and other challenges. 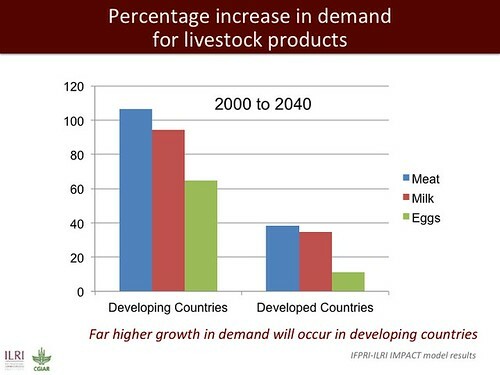 Livestock demand is already a major driver of economic growth for the continent, and this demand is rapidly growing driven by rising incomes and urbanization. 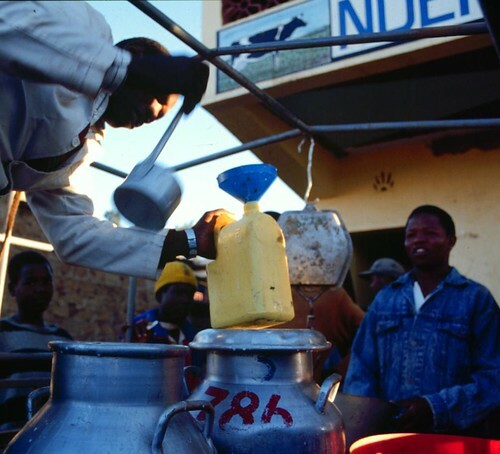 Capacity-building from the halls of parliament to the milking shed is key to the success of highly competitive African agriculture, panelists said. The policy environment must also be conducive to the specific conditions in which small-scale farmers are operating and good governance must be built into the producer organizations. 'The key breakthrough here is organizing smallholder farmers to make service delivery efficient and to attract partnerships. 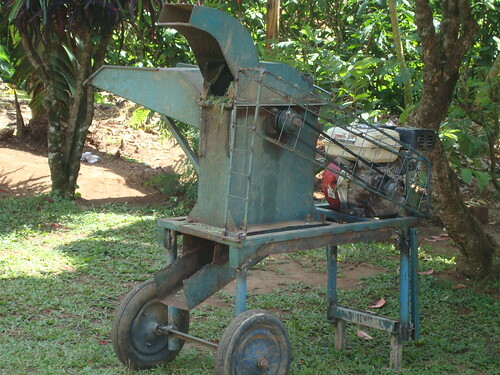 Once these livestock farmers are organized, opportunities for investment and synergies with other agriculture sectors—seeds, fertilizer, etc—come flowing in,' Seré said. The panelists also agreed that to boost the competitiveness and viability of livestock systems, the public sector must support rapid learning and results-driven research on markets, technologies and resource management. 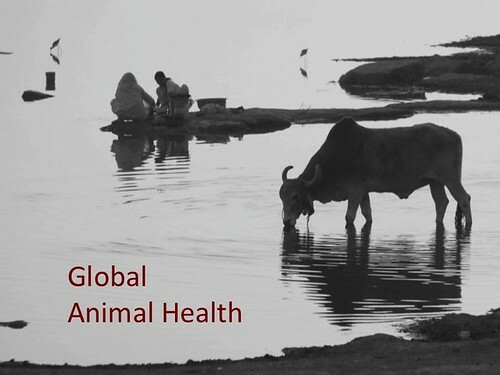 Examples include finding new ways of providing livestock insurance and financing the development and distribution of vaccines that reduce risks to farmers. This article was contributed by Megan Dold, of Burness Communications, who attended the African Green Revolution Forum in Accra, Ghana, 2–4 September 2010. Read more about the outcomes of the African Green Revolution Forum, media releases and a summary of the African Green Revolution parallel sessions here and in an earlier blogpost by ILRI. Time Magazine's report Look who's leading on the Global Forum it hosted in June 2010, along with Fortune and CNN, in Cape Town was full of good news for and from the leaders of ('what we will soon have to stop calling') the developing world. 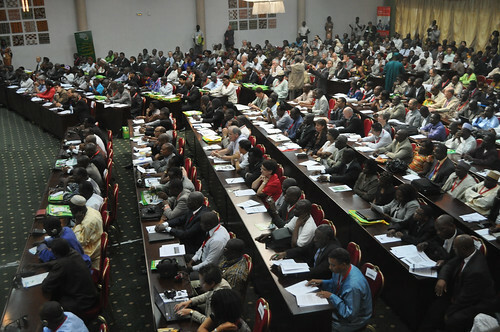 Similar optimistic talk was heard by Carlos Seré, director general of the International Livestock Research Institute (ILRI), and some 800 other participants of the recently concluded 5th African Agriculture Science Week and General Assembly of the Forum for Agricultural Research in Africa (FARA), held in July 2010 in Ougadougou, Burkina Faso. 'The theme of the [Global Forum] was the New Global Opportunity. The phrase is not just a recognition that, as the world economy emerges from the Great Recession, there are markets aplenty in the developing world but also that, if we are wise, we will take the chance to build an economy that is more inclusive than before and more respectful of the need to conserve natural resources for future generations. That way, everyone will benefit. As former U.S. President Bill Clinton said in a keynote address to the forum, right now the world is "too unequal and too unsustainable to be stable." But it doesn't need to be like that. The question facing the more than 350 leaders of government, business and civil society assembled in Cape Town was how to help build a different world. 'The developed economies of the Atlantic region are seeing a fragile recovery at best, one with little growth in jobs — and even that slow growth is threatened, in the view of many economists, by the hair-shirted fiscal tightening that has been seen of late in Europe. Concomitantly with the forum, world leaders at the G-8 and G-20 summits in Canada were wrestling with the question of how long stimulus programs that have injected much-needed demand into economies could be continued. 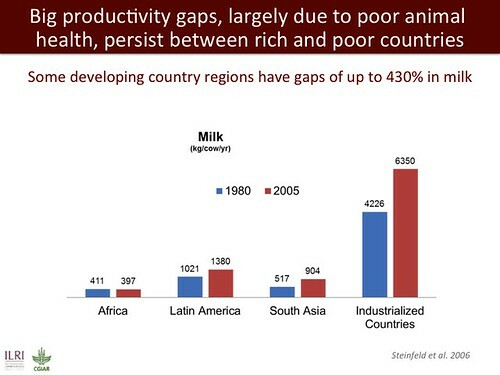 In that context, the performance of what we will soon have to stop calling the developing world has been tremendous. China grew by 8.7% in 2009, according to official figures. India showed excellent growth too, and even in Africa — so long dismissed by seers as an underperformer — growth hit 2% before the recession took hold, which followed years when the continent was growing at the historically robust rate of 6% or more. 'This isn't simply a function of the famous BRICs — Brazil, Russia, India and China — setting the pace. Indeed, as veteran global economist Kenneth Courtis of Themes Investment Management pointed out, Russia has fallen out of the club of most-favored developing economies, having been unable (so far) to use its endowment of natural resources to build truly world-class companies. With Indonesia increasingly catching the attention of business leaders, and Africa too, it might be time to try a new acronym: ABICI, for Africa, Brazil, India, China and Indonesia. Whatever you call them, the performance of the leading economies of the developing world has been sufficiently robust that political leaders like Rob Davies, South Africa's Minister for Trade and Industry, were able to trumpet the potential of south-south trade — while acknowledging that even the best-performing southern economies had been hurt by the continuing weakness in the rich world. 'The caveat is important, especially if, as Oxford University's Ian Goldin warned, there remains the real risk of a double-dip recession in the most-developed economies. Household-debt levels remain worryingly high, which is bound to dampen the recovery of consumer spending, and some banks still have substantial exposure to overvalued assets. But the worrywarts notwithstanding, corporate titans in Cape Town could hardly restrain their sense of excitement about the opportunities in the developing world. For AstraZeneca's CEO David Brennan, DuPont's chair and CEO Ellen Kullman and management consultancy McKinsey's global managing director Dominic Barton, the story of the recession was the acceleration of a trend toward growth in the developing world that had been under way before the downturn started. 'It isn't just that the developing world provides vibrant markets — 84% of the world's population lives outside the combined area of the North Atlantic economies, Japan and the four original Asian dragons — that explains the new corporate focus. Increasingly, it is the potential for low-cost innovation in the poor world that can provide goods and services that can be sold everywhere. From telecom to banking to medical supplies, companies are finding business processes and products in the poor world that they can apply and sell everywhere. As new channels for African exports become increasingly available, economists and policy makers are focusing more attention on how best to match producers to buyers in Europe and elsewhere, including Africa itself. 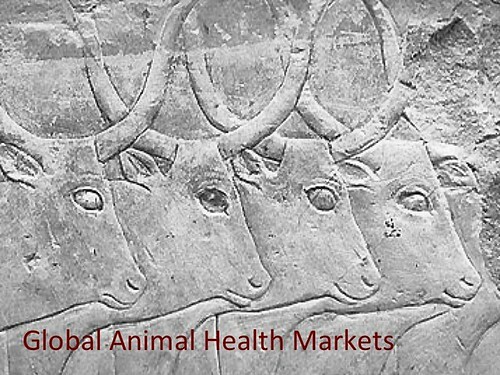 A recent paper explores the potential and pitfalls of exporting African livestock products. 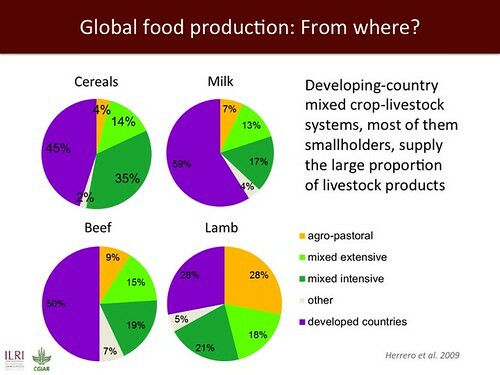 ‘What can Africa contribute to global meat demand?’ recently appeared in Outlook on Agriculture (Vol 38 No 3, pp. 223-233, September 2009). 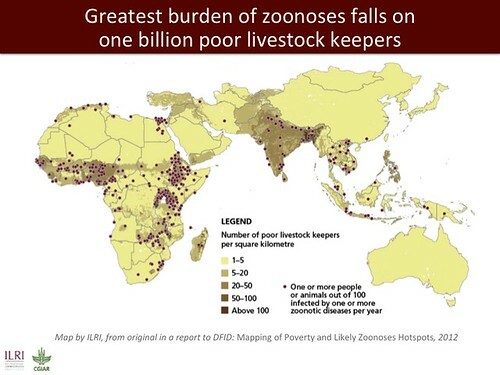 It is authored by Karl M Rich, who works with both the International Livestock Research Institute (ILRI) and the American University in Cairo, and will move to the Norwegian Institute of International Affairs (NUPI) in Oslo, Norway, in February 2010. 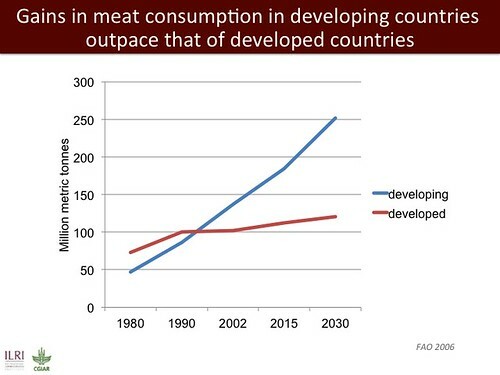 Observing that global demand and prices for meat are currently at unprecedented highs, Rich cites International Food Policy Research Institute (IFPRI) data that project that annual per capita meat demand in Africa will double to 22 kg by 2050. This increase will necessitate corresponding rises in demand for cereals as well as livestock. 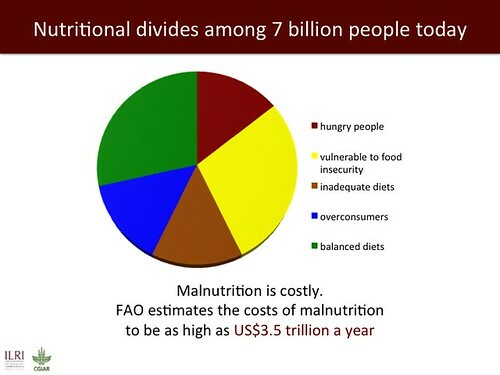 Estimates from the Food and Agriculture Organization of the United Nations (FAO) suggest similar increases in demand throughout the developing world. These increases bring new opportunities for alternative sources of supply. At first glance, it would seem that Africa would have a distinct advantage in meeting the increasing demand within the continent. 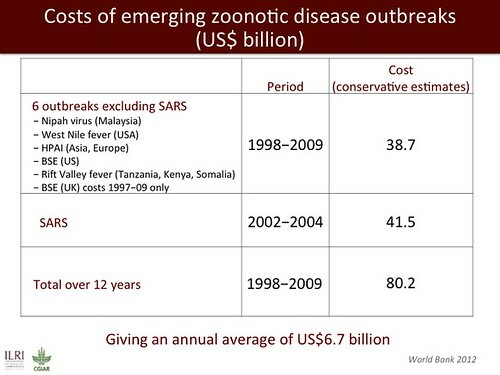 However, Africa’s ability to compete with Europe, Asia and the Americas has historically been constrained by low productivity, prevalence of animal diseases and the difficulty of meeting high global standards for health and safety. These constraints must be addressed before Africa can become a major player, and Rich’s paper examines the possibilities of bringing this happy situation about. 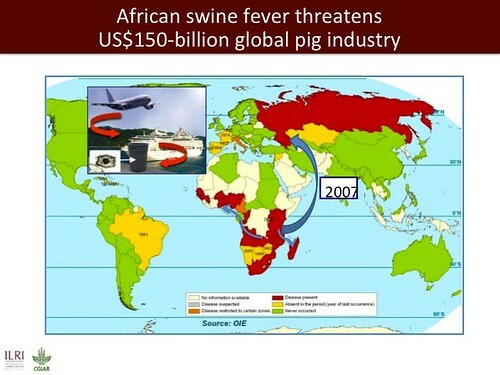 Rich begins with an overview of Africa’s role in the global meat trade, both imports and exports. His efforts in this regard are nothing less than heroic. The data from each of Africa’s fifty-odd countries are accumulated in enormously different ways, and the most recent data for some countries are several years old. Nonetheless, the figures are important, and to date no other author has made comparable efforts to get a handle on the situation. Rich does not express a great deal of optimism for the short or medium term. 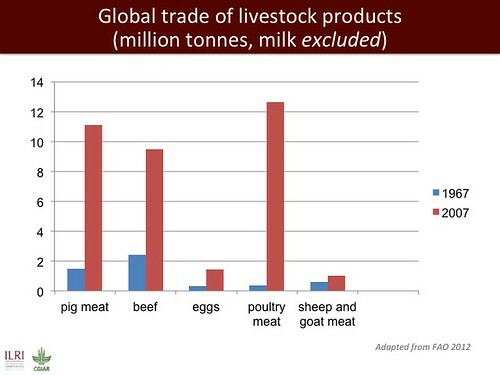 He estimates, for example, that at present Africa provides only about 1% of global meat exports for beef, pork and chicken. A comparison of regional export shares is even more daunting. 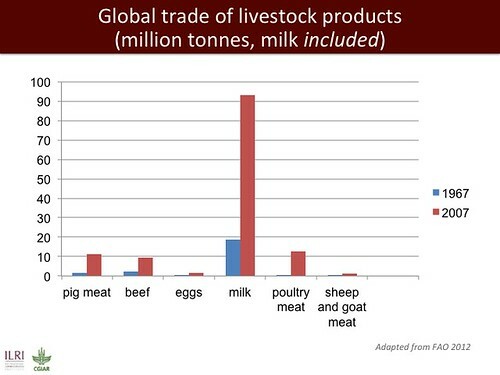 Table 1, which presents FAO data, indicates that the overwhelming majority of products come from southern Africa, notably South Africa, Botswana and Namibia, while goat and pig products are sourced predominantly from East Africa. Sheep products come mainly from North Africa (mainly Sudan). 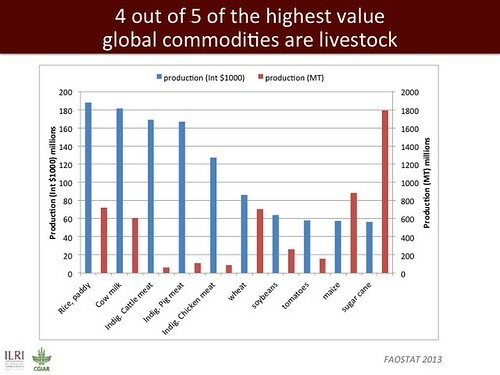 Meat exports from the rest of Africa, especially Central and Western Africa, are miniscule. Eight other tables and five figures in the paper provide detailed information of the variety and amount of meat imports and exports among African countries. 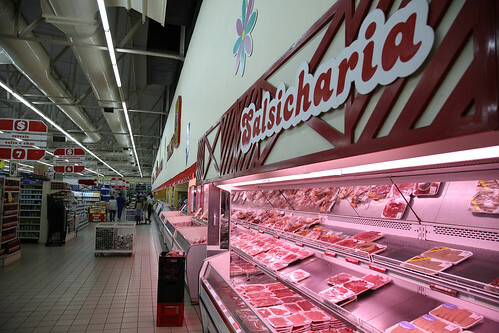 In the case of exports, information is provided concerning the countries importing African meat products. Among significant competitor nations are the emerging giant economies of the developing world, especially Brazil and India. These two countries account for a huge slice of the African market, constituting the main source of beef imports—both frozen and fresh—to seven of the largest African customer countries. Rich points out that one important advantage that India, Brazil and other Latin American countries (Argentina, Paraguay, Uruguay) have over Africa is scale. 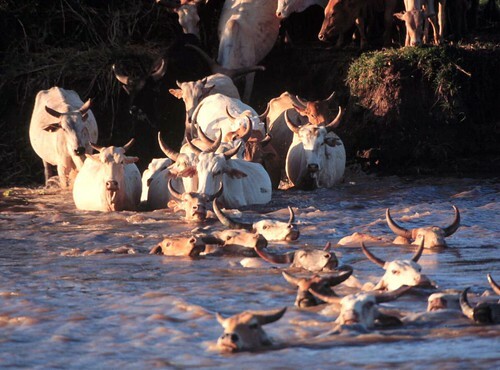 According to the most recent data from FAO (2006), the total stock of cattle in Africa is about 232 million head. 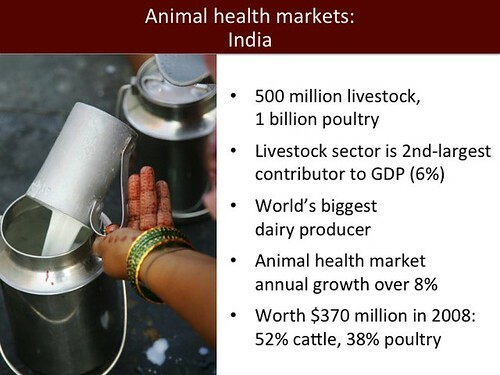 By contrast, Brazil alone has over 207 million head, while India has 180 million as well as nearly 100 million head of buffalo. 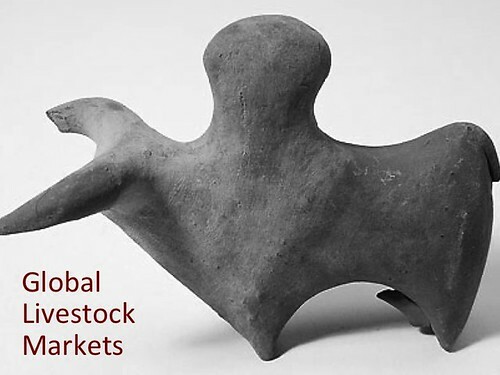 The African countries with the largest stocks are Ethiopia and Sudan, but neither comes close to those of Brazil or India, and both have fewer head than Argentina. While African exporters will not be able to compete with Brazil or India in the short to medium term, inroads to foreign markets have been made by some southern African countries to the European Union (EU). This trade is driven by preferential access to the EU brought about through the Cotonou Agreement which provides tariff reductions for African and other developing economies. 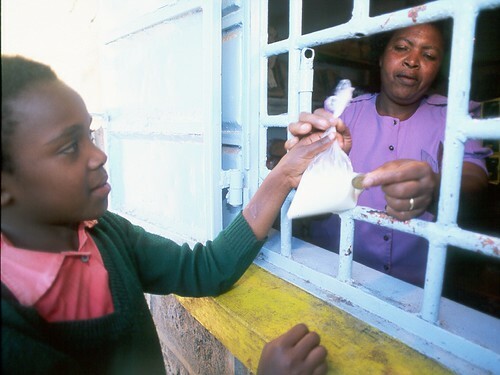 But even with such international agreements in place, African countries have been unable to fill the quotas provided, largely because of the rigourous standards for compliance with EU sanitary regulations. 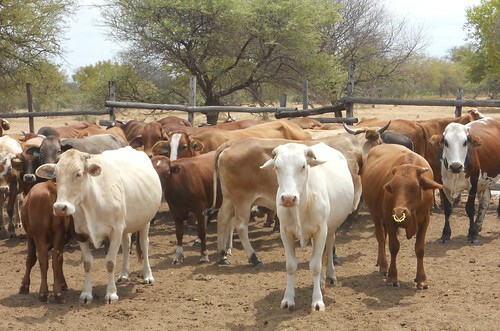 To retain access to European markets, for example, Botswana and Namibia have had to set aside areas free from foot and mouth disease (FMD)—an expensive arrangement that precludes raising cattle by traditional African husbandry methods. Furthermore, without these preferences it is unlikely that southern African producers could compete with the likes of Brazil. 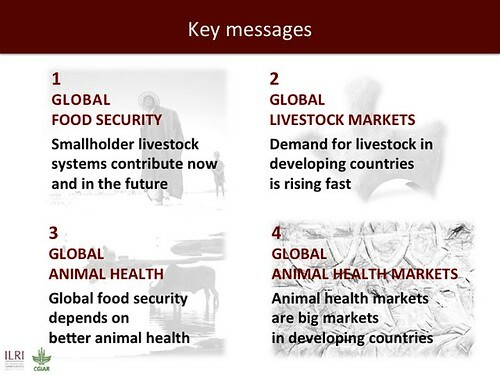 Rich concludes his paper with a section entitled The road ahead: where and how can Africa contribute to global meat demand? 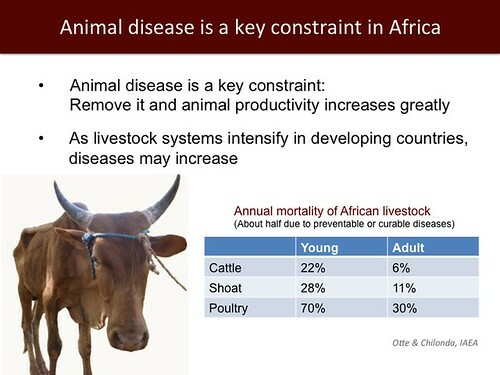 Before discussing the most likely methods for improving Africa’s competiveness with other meat-exporting nations, however, he cautions that ultimately, significant improvements in productivity, breeding, infrastructure and marketing will be required over and above the options he identifies. The author identifies five options. Commodity-based trade. 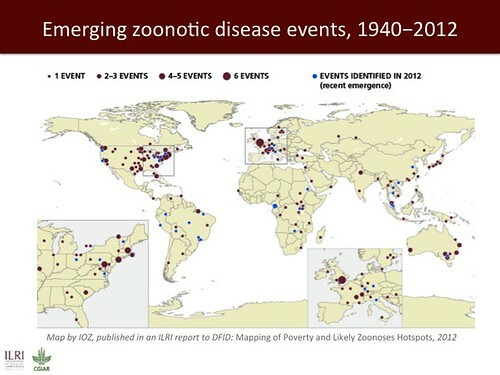 Diseases such as FMD persist in developing countries, limiting market access from developing markets to lucrative ones in the developed world. 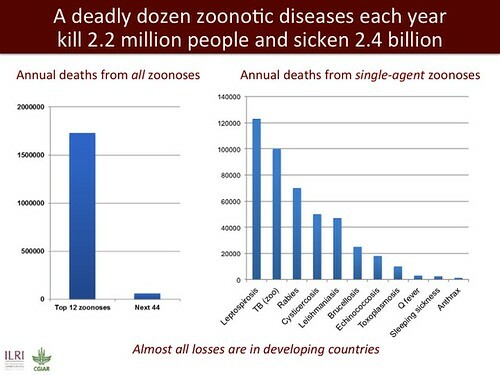 Commodity-based approaches focus on attributes of a product such as quality and safety rather than the disease status of its place of origin. 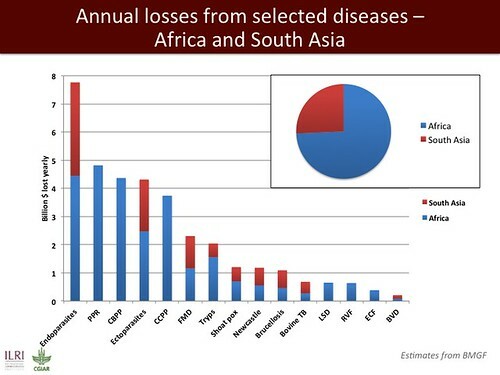 It is argued that deboned and properly matured beef, for example, poses virtually no threat of transmission of diseases such as FMD. While commodity-based approaches could pave the way for increased trade from Africa, a number of gaps remain. In particular, will African countries be the major winners? If not, what further constrains Africa’s market access? A recent report by Karl Rich and Brian Perry to the UK Department for International Development explores this option further. Certification programs and disease-free compartments. Africa can raise its profile in global markets by demonstrating compliance with SPS standards. A compartment is a network of micro-level disease-free areas linked to each other and maintained through high levels of monitoring. A good example of this option is discussed in the paper mentioned in the box item above, a USAID-funded program currently under way in Ethiopia. Branded niche products. This option focuses on the strengths that Africa can offer global buyers by building and encouraging trade associations and marketing organizations. The author cites several examples—Farmer’s Choice of Kenya, Farm Assured Namibian Meat, the Kalahari Kid Corporation, the Namibian Meat Board, the South African Meat Industry Company and the National Emergent Red Meat Producers Organisation. These associations promote local products, engage in branding and quality assurance and build the capacity of emerging farmers. Regional integration and trade. Rich points out that despite the existence of regional cooperation agreements, barriers between member countries continue to hamper trade. Reducing these barriers will be crucial if Africa is to develop and harness the scale necessary to compete in international markets and lower costs. Investments in marketing and promotion among regional partners will be required for countries to enter and sustain effective trading in high-value markets. Domestic markets. Both formal and informal channels for meat products have been developed within each African country over the past several years. Because domestic prices in fact frequently exceed international prices, finding ways to deliver local products at competitive prices is an option with good potential, though these products will increasingly compete with low-cost imports. Competing effectively on price will be crucial for African producers to be successful in such channels. The abstract of the paper can be accessed online. 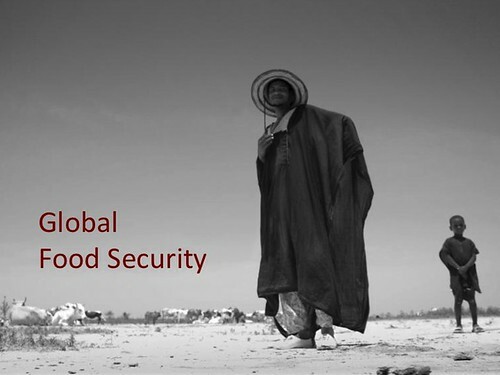 For additional information, contact Karl Rich at k.rich@cgiar.org.